Get a great Dinner to Eat In or Take Out, either way you can Order Online and save time! Are you in a time crunch? Order Online today. 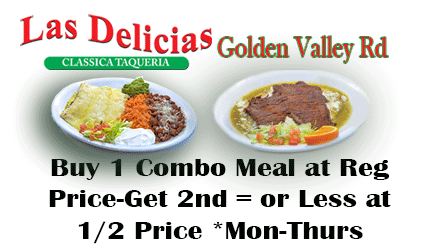 We have the Best Food And Service Right Here At Las Delicias Golden Valley Road. Visit us Any time of the day for Amazing Mexican Food in Santa Clarita!